Sonos, the popular smart speaker company, has officially filed for an initial public offering (IPO) as revealed in a Form S-1. Founded in 2002, Sonos was one of the pioneers of the Wi-Fi enabled smart speakers that can be controlled with smartphones. 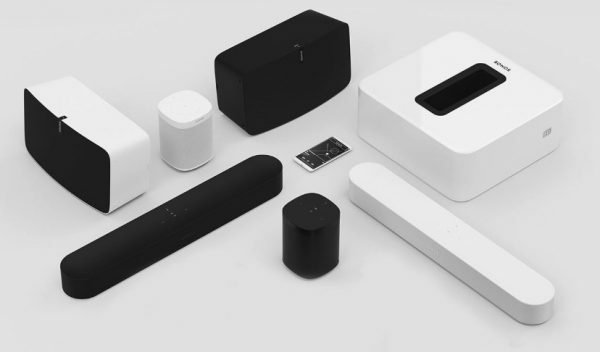 Sonos’ devices compete against the Google Home, Apple HomePod, and the Amazon Echo devices. But Sonos is also partnered with all of those companies. Rather than building its own digital assistant, Sonos is building speakers that are compatible with Amazon Alexa compatibility. And later this year, Sonos speakers may also support Google Assistant and Apple Siri. Sonos IPO: Sonos has officially filed for an initial public offering. During those six months, Sonos also returned a profit as it saw decreasing losses over the past three fiscal years. For example, Sonos saw a $14.2 million loss for the 2017 fiscal year on revenue of $992.5 million compared to a $38.2 million loss for 2016 on revenue of $901.3 million and $68.8 million loss in 2016 on revenue of $843.5 million. The reason for the growth is largely due to repeat business from customers. In terms of ownership, KKR has 26% equity in Sonos. And Index Ventures and Sonos co-founder and former CEO John McFarlane each have roughly 13%.